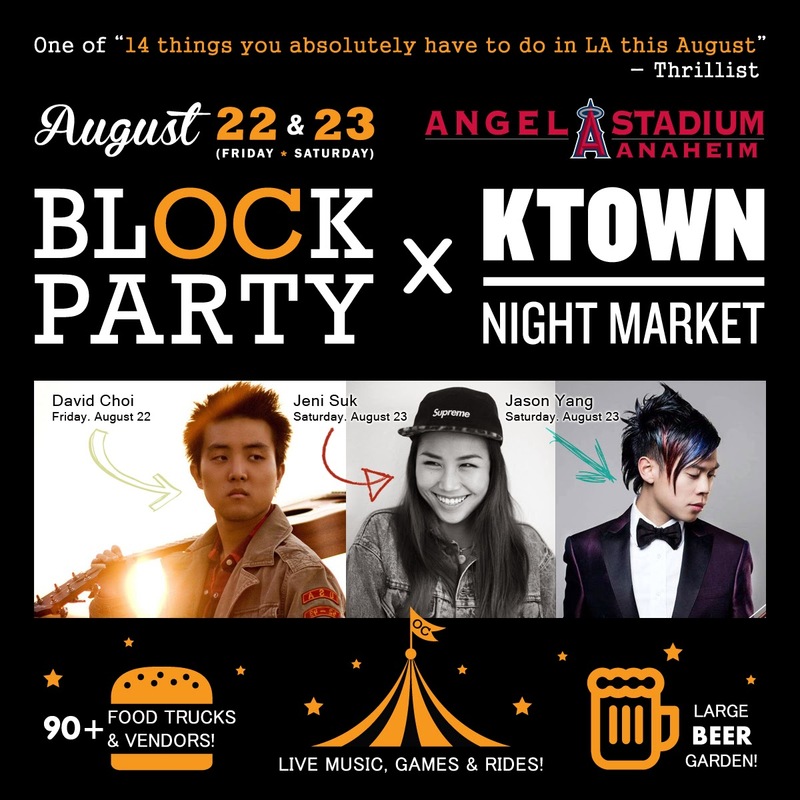 THE KTOWN NIGHT MARKET IS BACK THIS WEEKEND 8.22-23! @ ANGELS STATIDUM - ANAHEIM - EAT WITH HOP! JUST A MERELY $3 TO ENTER THE GATEWAY OF FABULOUS FOOD FINDS AND FUN! I ABSOLUTELY AM A HUGE FAN OF JENI SUK AND JASON YANG! THEY ARE BOTH PERFORMING ON SATURDAY! THERE WILL BE FREE STUFF (GET DRAWN FOR FREE BY MISSMINDFUL AND MINIONME) AND BUY THEIR CREATIVE ARTWORK! THIS EVENT WILL HAVE OVER 90 VENDORS WITH SOME OF THE MOST UNIQUE FOODS EVER! JENI SUK ! GO WATCH HER VIDEOS ON YOUTUBE Y'ALL! SHE IS AMAZING AND TALENTED WITH COVERS AND HAS ORIGINAL SONGS TOO! ANY "TORNADO POTATOS" BECAUSE I HAVE TO GET THAT EVERY TIME!